How to sew a pillowcase. 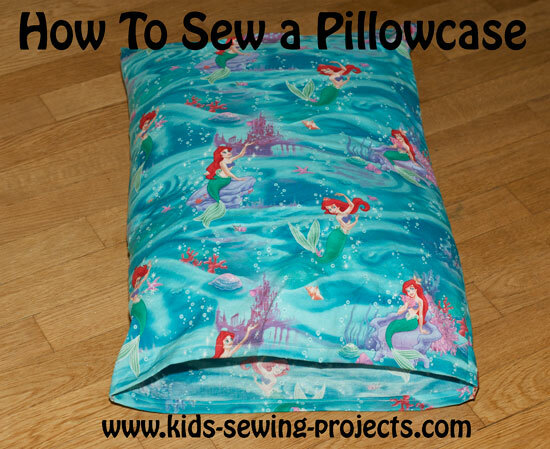 Here are directions on how to sew a pillowcase for an easy kids sewing project. They are a great way to decorate and personalize your room. You can really be creative on these. Make a holiday pillowcase or use fabric with a favorite character. 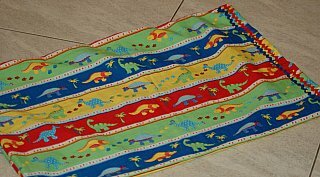 Fabric now a days comes in all colors and a wide variety, making this sewing project a lot of fun. Measure and cut material. 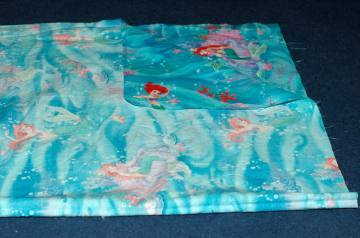 Or use an older pillow case for a pattern. A fabric pencil and quilting ruler might be helpful. Place two rectangles right sides together. Sew one side to the end, take it off the machine and sew the next side. Don't forget to do your backward stitch after the first few stitches and at the end. (We will learn how to do corners in the next level if you already know how, go ahead!) Leave one short side open. Turn the top edge over ½ inch and then ½ inch again. Pin in place. Sew the edge taking out your pins as you sew. This is called sewing a hem. Turn right side out and your pillow case is all done and ready for bed. It is easy to add trim or ric a rac along the edge of your pillowcase. 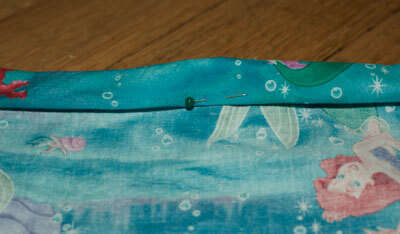 Pin in place and stitch around edges. Here are some examples. Pillowcase with lace. A little hard to see but we've pinned the lace around the top edge of the pillowcase. 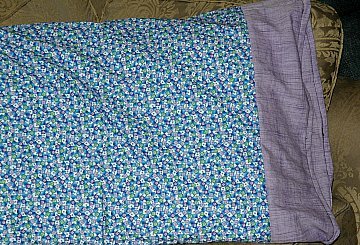 Pillowcase with rick a rack. We did a double row of different color rick rack on the top edge. Place one 22x7 inch strip of material right sides together to a short side of a 22x30 inch rectangle. Sew along top edge. Do with the remaining two pieces. Continue pillowcase instructions from step 1 above. Back to Sewing Level 2 from How to Sew a Pillowcase Project.